Along with our famous roasted duck and pork, we also sell long bean omelette to our customers, something that is uncommon in roasted duck rice stalls. The reason why we are selling that is because my mother used to sell Teo Chew porridge, so we thought it would be nice to incorporate her long bean omelette to our duck rice dish. My children don’t intend to take over my business. Most youngsters now focus more on attaining higher qualifications. Given so, I think the Singapore’s hawker scene might look very different in future. I believe innovation and advancement will take place, maybe in future we will acquire a very different taste preference for Char Kway Teow, Hokkien Mee etc. 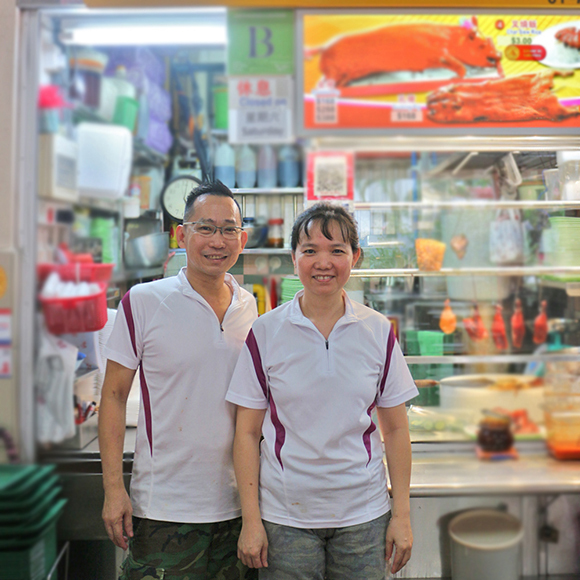 I noticed there are a handful of young people entering the hawker scene, selling unique and trendy hawker food. If I had to choose between tradition and innovation, I would say innovation is always good, just need to remember to build a strong foundation for your culinary skills while keeping the essence of the dish.